H&M is proud to announce its first African collaboration with South African designer, Palesa Mokubung’s ‘Mantsho’ label, which will be available in all South African stores as well as exclusive flagship stores around the world and all H&M online markets, from 15 August 2019. "Palesa is such an inspiring talent and personality. We love how she works with colour, print and silhouettes enhancing the female shape in a flattering and playful way. At H&M, we value diversity of ideas and designs and draw inspiration from across our geographical footprint and we are so excited to share this collection with our customers across the globe” says Pernilla Wohlfahrt, Assortment Manager for Collaborations and Special Collections. Mantsho is known for its vibrant fabrics, bold and edgy designs with distinct silhouettes and structures. The diverse collection of women’s wear and accessories are set to introduce a dose of fresh fun and uniquely South African aesthetic to H&M customers around the world. The collection will be available in all South African stores as well as selected flagship stores in the United States of America, the United Kingdom, France, Spain, Portugal, The Netherlands, Belgium, Mexico and Chile. "This collaboration is a dream come true and I’m so excited to work with H&M. This project has been a valuable journey so far and I cannot wait to share my passion and design with fashion lovers around the world. 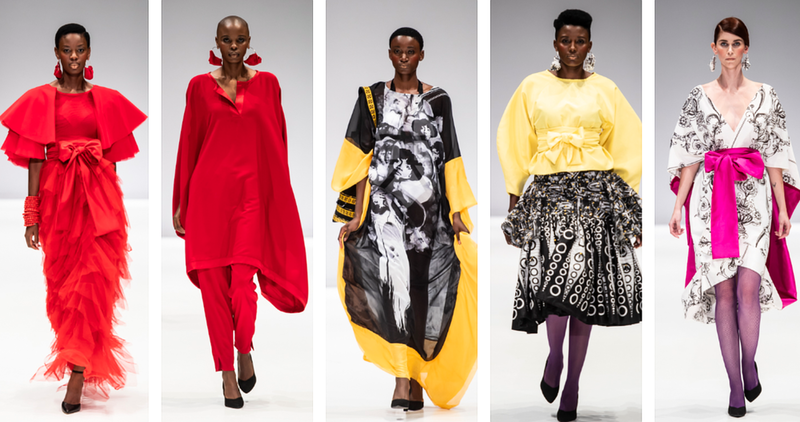 Mantsho prides itself as a ready-to-wear brand and this exclusive collection fulfills this promise.” says Palesa Mokubung. The Mantsho label, translating ‘black is beautiful’ in Sesotho, was established in 2004 and has since graced numerous runways including Greece, India, USA, Jamaica, Nigeria, Botswana and Senegal. Are SA Fashion Weeks Still Relevant?